Description:PCVED by microwave or radio frequency make gas ionization containing film the constituent atoms,in a local plasma formation,and plasma chemical activity is very strong,is easy to react,sedimentary out the desired film on substrate,it widely used product high quality sio2 film,si3N4 film,diamond film,hard thin film,optical thin film and CNT etc. PCVED by microwave or radio frequency make gas ionization containing film the constituent atoms,in a local plasma formation,and plasma chemical activity is very strong,is easy to react,sedimentary out the desired film on substrate,it widely used product high quality sio2 film,si3N4 film,diamond film,hard thin film,optical thin film and CNT etc. · Reflection Power: 200W max. Vacuum Flange and Fittings · Vacuum flange set is made of stainless steel 304. · hose fitting, and a needle valve. Oil trap (inlet) and exhaust filter (outlet) are installed. 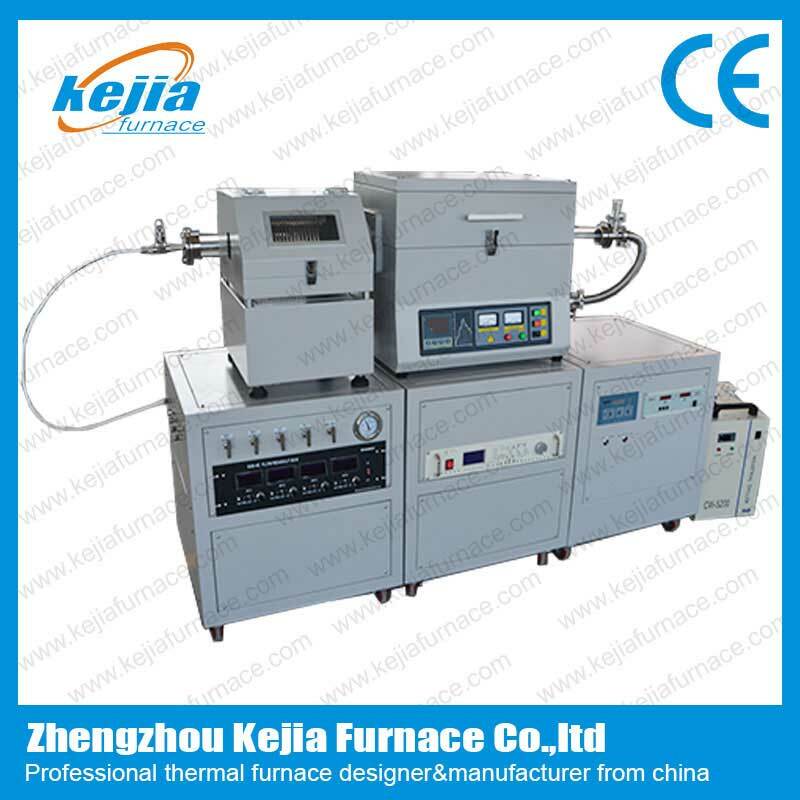 We have a wide range of different optional function furnace to meet different heating requirement, also we accept customer design furnace R&D working, please email us your specific requirement, we will recommend most reasonable choice for you, thanks!